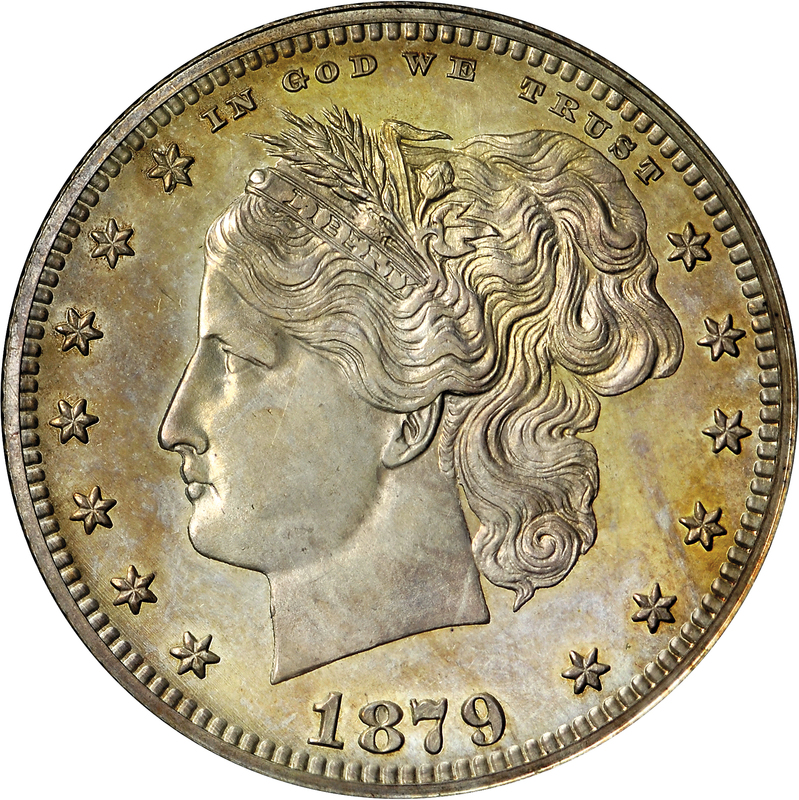 The famous Washlady design was introduced at HBCC-6142, and now appears on a quarter dollar. Possibly a dozen examples are known, along with a few in copper. 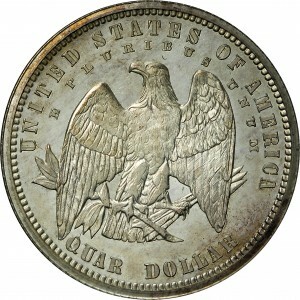 This series of patterns is extremely popular and highly collectible. Designer Charles E. Barber, the son of engraver William Barber, was appointed head of the engraving department in 1879 after his father’s death. The younger Barber remained at the post until his own death in 1917. 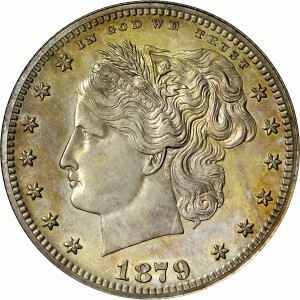 Today, he is most well-known for the Barber series silver coins that carry his name. From Stack's sale of the DiBello Collection, May 1970, Lot 350; Rowe & Brownlee, June 24, 1970. 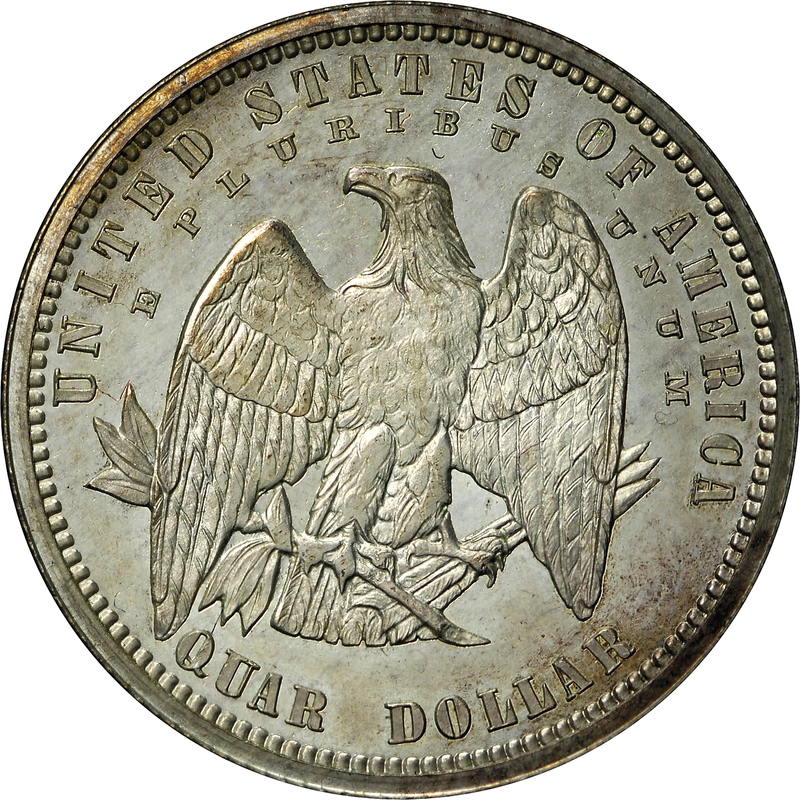 Standing eagle at center, head to left, olive branch and arrows in talons, olive branch and talons pass behind wing tips, UNITED STATES OF AMERICA and E PLURIBUS UNUM arc above eagle, QUAR DOLLAR curves below.